Have you ever struggled with handling data with tedious processes? Database administration and management can be a real pain. phpMyAdmin is certainly a provider of a point of relief. On this page, I’ll teach you in brief but useful detail about selecting an optimal hosting plan with the priority of phpMyAdmin use in mind. At the end of the page, you’ll receive three recommendations of the best hosting providers. In the meantime, indulge and learn about using phpMyAdmin, what it can do for you and what you should look out for. Database administration is a complex job. Not all sysadmins or application developers may be comfortable with accessing and managing MySQL databases from a command line, especially in a remote web environment. Even advanced database administrators don’t always want to type out the long and error-prone SQL commands used in terminal-based database access. PhpMyAdmin provides a Graphical User Interface (GUI) for running a MySQL server. This makes it easy to do common tasks like creating new databases, deleting databases, dropping or adding tables, and querying data. In addition to making typical database tasks easier, phpMyAdmin provides advanced management functions such as exporting visual representations of data models and database syncing. Who's Best for phpMyAdmin Hosting? We think SiteGround is the best choice for phpMyAdmin. phpMyAdmin’s web-based GUI is easy to learn and use, providing access to common database management tasks. The interface also makes it easy to view and monitor key database statistics, such as traffic volume and query speed. For anyone having dealt with MySQL, this will greatly impact the learning curve and time spent adapting. Monitoring such statistics is handy from a point of reference, as well as awareness of performance. With phpMyAdmin, you can import data into a database from a CSV file. This is especially helpful if you are converting a spreadsheet-based data management system into a real database application. You can also use phpMyAdmin to import data directly via SQL queries, which makes converting from another database system to MySQL a very simple process. phpMyAdmin also supports robust data export into a wide variety of formats and file types, including CSV, SQL, XML, PDF, OpenDocument Text and Spreadsheet, MS Word, and LaTeX (among others). There are also utilities for transforming stored data into other formats. For example, you can display BLOB data as an image. Besides stored data, you can also create graphical representations of your data structure in several standard formats. Simple database management with phpMyAdmin. phpMyAdmin gives a user the ability to manage several databases, or even several database servers, from a single control panel. Besides making administration of multiple projects or applications more efficient, this multi-db and multi-server ability makes development work-flow easier. PhpMyAdmin provides tools for cloning and syncing databases with each other, which allows you to easily setup development, test, and production environments and manage them all from a single location. The best part about phpMyAdmin is that you don’t need to learn the arcane language of the shell or SQL to manage your database. All you need is a web browser. Adding tables and dropping them is also easy. With SQL databases, you have to specify at the outset what the formats of your tables will be. Will this field be an integer or a character field? How long will it be? You can define these in a few clicks instead of trying to figure out the SQL syntax. Creating a table through the standard MySQL shell is tedious. With PhpMyAdmin, you just use drop-down menus. Dropping a database is similarly easy. It’s probably too easy. If you’re new to databases, PhpMyAdmin or MySQL/MariaDB, it might not be a good idea to try to learn about your company’s sales database. Fortunately, the PhpMyAdmin project has a free demo server you can experiment with without incurring the wrath of your local DBA. If you really want to use SQL, you can do that too. Just click on ‘SQL’ and type in your code in the box. It’s great if you’re learning the language. You might also want to download a package like XAMPP that includes Apache and MariaDB, a fork of MySQL that attempts to be as functionally identical to MySQL as possible. (The reason for the split was MySQL’s acquisition by Oracle.) It also includes phpMyAdmin. One of the more impressive “features” of phpMyAdmin is its incredibly complete documentation. The first layer of documentation is a very well organized set of application docs maintained by the project development team. These files cover all the basic issues such as installation and typical use cases. There is also a fairly large phpMyAdmin wiki, where the user community and developers have come together to provide hundreds of pages of information. This information covers almost every situation, bug, or possible confusion. Having a wiki as such is a blessing since it can often avoid hours of robotic support contact when searching for answers. Finally, a number of books have been written about phpMyAdmin, including several specifically authorized and endorsed by the project development team. Since code recycling is a common method of creation in the development world, the same can be done with knowledge. Similarly, learning from others’ experiences and mistakes can save your time, money and brain cells respectively. Similarly to other popular tools, phpMyAdmin has a bunch of forums with quality information. Some forums are privately run, others are official sources and are more popular. Even so, you are likely to find answers, alternatively interesting topics to read about when joining one of these forums. Quora is a great place for high-level answers from experienced individuals. Possibly the best source of legitimate experience-based feedback, advice, and information comes from Quora. Quora has been considered one of the most trusted Q&A sites of our time, with experts across all industries present on the platform. Struggling with a high-level question regarding phpMyAdmin? Quora could just be your place. If all that isn’t enough, the user community for phpMyAdmin is quite large, so there is almost always someone to ask if you ever run into trouble. The community and following base of this tool are adamant on making it grow and keeping it sustainable. From forums to reddit pages and quora topics, there is plenty of resources out there. A simple google search can get you a long way if you know what answer you’re looking for. Using phpMyAdmin for managing and monitoring MySQL databases from a web-based GUI does not hinder accessing the database or server via another manner, such as the command line or shell scripts. So, from a technical standpoint, there is no downside to using phpMyAdmin. However, there are a few drawbacks to consider. One potential problem with phpMyAdmin is the ease of accessing and editing data directly, rather than through an application built with the database. This is a powerful ability and can be abused, causing serious problems like data loss, corruption, and de-normalization. Even though phpMyAdmin is easy to use by non-experts, it is important for any mission-critical database application to be managed by a professional database admin. Someone who ideally understands the potential for disaster. phpMyAdmin works only with the MySQL database. MySQL is very popular, robust, and free, so this usually isn’t a problem. However, if you need to use PostgreSQL, SQLite, or another database, phpMyAdmin is not the tool for you. Because phpMyAdmin and MySQL are well-supported through the industry, it’s likely that it will be preinstalled on your server. Otherwise, it’s easy to install on a server. If your server runs a Linux distribution, you can use the package manager to install it. You can also install it manually by unpacking the phpMyAdmin .zip or .tar file that you downloaded from the project website into your document-root or the directory where the web server serves the pages from. After that, you can then either edit the config.inc.php file in a text editor or use the web-based wizard by navigating to the server’s address in your browser. With the former, SSH access is helpful. Otherwise, you’ll have to download the file, edit it, and upload it back to your server. The downside is that once you install phpMyAdmin or any other tools on your own, you’re responsible for maintaining them. This includes installing security updates and new versions. A hosting provider will apply these updates to you and make sure they don’t break anything. 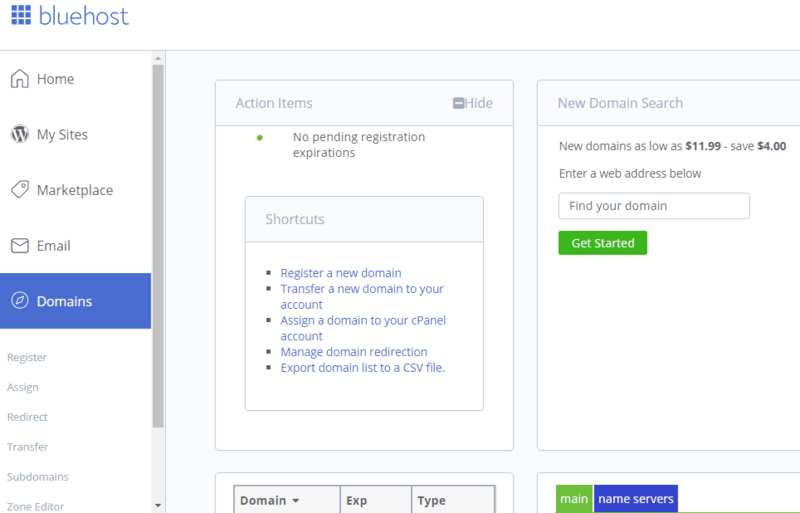 Many hosting companies provide access to phpMyAdmin already, and it is supported by a number of popular control panels including Plesk, cPanel, and InterWorx. If you need phpMyAdmin, be sure to select a hosting provider that supports it. Hosting providers won’t advertise phpMyAdmin as a major feature since it’s so ubiquitous. It’s a ‘killer app’ for web database management, so it’s likely to be installed on a web server that has MySQL or MariaDB on it anyway. While PhpMyAdmin is popular, web hosting companies don’t seem to advertise very much, perhaps a line in their technical specs, if anything. It’s still one of those things you can expect to be on a server. For this reason, it’s better to consider the overall price and features that you’ll get. In the meantime, take a look at a slightly more detailed view of each host. 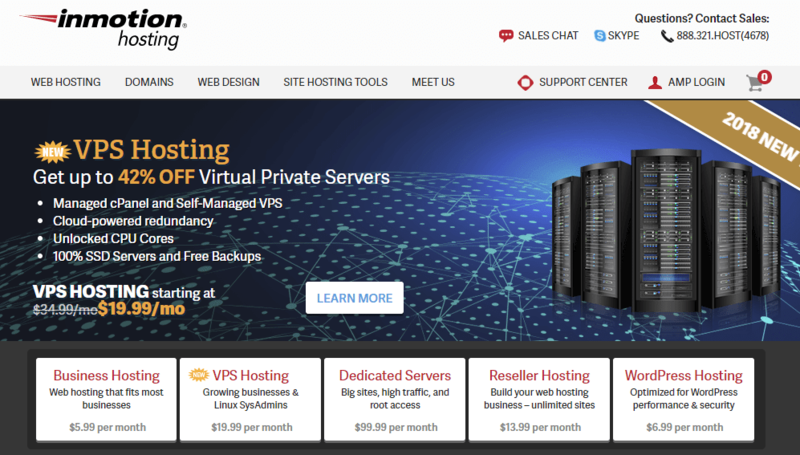 SiteGround’s hosting plans start at $3.95 a month. You get 10 gigabytes of space on the lowest tier, which should be adequate for a small site. With the higher tiers, you get more space. Cloud and dedicated servers are also available for those who need more space. All of the plans include SSH access. The higher tiers offer a higher priority in technical support. 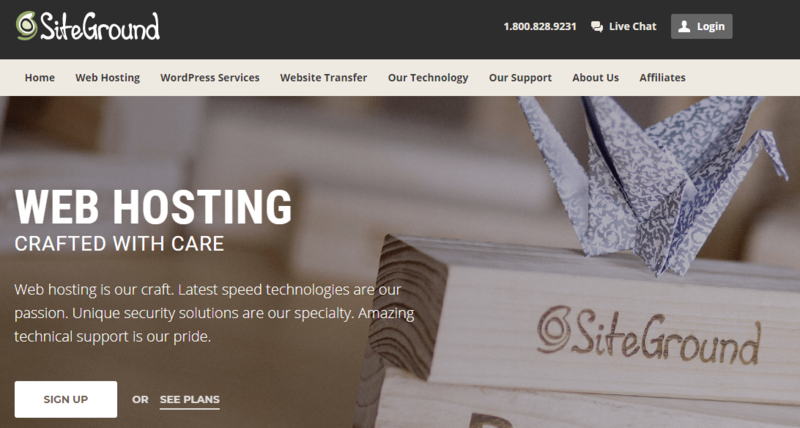 Bluehost’s plans start at $2.75 a month. The best feature is its unlimited bandwidth. This makes Bluehost a good option for traffic-heavy sites. Bluehost offers 1-click installation of popular web applications that depend on MySQL like WordPress. Clients have a money-back guarantee with a refund within 30 days if they aren’t satisfied. InMotion also offers an attractive plan for hosting database-driven websites, starting at $2.95. Customers get unlimited bandwidth and disk space on fast SSD drives. The lowest tier has up to two databases. This should be plenty for people new to databases. The highest tier also offers an unlimited number of databases. This document has been composed with the instant HTML editor tools. PhpMyAdmin is an application for administering and managing MySQL and compatible databases. It can be used to create, delete, or modify databases. The tool can also be used to manage tables, fields and rows, administrate users and permissions, or execute SQL statements. Other useful features are available as well, including search, export, and import. Does phpMyAdmin work with PostgreSQL databases? No. You can, however, use phpPgAdmin, which is inspired by phpMyAdmin. Does phpMyAdmin only work with MySQL databases? The simple answer is: yes. However, despite being designed solely for MySQL, phpMySQL also supports MySQL-compatible databases such as MariaDB and the now defunct Drizzle. Will phpMySQL run on my server? Since it’s based on PHP, phpMyAdmin should run on just about any server — even IIS, given that PHP and MySQL are installed. How do I install phpMyAdmin? You can install phpMyAdmin on Linux and Windows. In fact, it is already included in many Linux distributions and this is the easiest way of enabling phpMyAdmin. But even without this, there is a lot of information online (including video) that shows how to install it. I’ve heard phpMyAdmin can be a pain to configure. Is this true? It all depends on your skill set. Luckily, plenty of phpMyAdmin documentation is available online, so you should have no trouble finding detailed instructions for each step. Once you get a hang of it, you’ll be surprised how easy it can be. Of course, inexperienced users might need some advice, in spite of comprehensive online documentation. Is there anything to watch out for when using phpMyAdmin on a Windows machine? A number of bugs have been reported by phpMyAdmin users on IIS, but in most cases they are the result of poor installations rather than any inherent technical issues. The PHP ISAPI filter can also cause problems and users are advised to use cookie authentication instead. Which MySQL versions are supported by phpMyAdmin? PhpMyAdmin supports MySQL version 5.5 and later. However, if you need support for earlier database, old versions of phpMyAdmin are available. PhpMyAdmin is free and this is unlikely to change. The software is published under the GNU General Public License 2. How many languages is phpMyAdmin available in? PhpMyAdmin is available in almost 80 languages. Can I import and export data via phpMyAdmin? PhpMyAdmin allows data imports from standard CSV and SQL files. Data can be exported to CSV, SQL, XML, PDF, Word, LaTeX, and other formats. It also exports to ISO/IEC 26300, which means it outputs to office suites by OpenOffice, Corel, and Adobe. Does phpMyAdmin support all MySQL features? PhpMyAdmin does not support all MySQL features. However, it supports the vast majority of them — in particular, the most important ones. The tool allows you to browse and drop databases, tables, views, fields and indexes; create, copy, drop, rename and alter databases, tables, fields, and indexes; execute, edit, and bookmark any SQL-statement, including batch-queries; manage MySQL users and privileges, and manage stored procedures and triggers. How does phpMyAdmin compare to MySQL Workbench? First of all, phpMyAdmin is installed on most managed hosting environments, so you don’t have to deal with it. It is web based and works on any platform, and it does not use local resources. However, it doesn’t handle remote offline databases as well as MySQL Workbench. In addition, MySQL Workbench offers a visualized database structure and can handle multiple connections in one location. However, it’s more resource intensive than phpMyAdmin and might be too complex for novice users. PhpMyAdmin comes well documented, so you should be able to find a solution to practically any problem online. Unfortunately, if this is not sufficient, official commercial support is not available. You can, however, hire a consultant who specializes in MySQL. How strong is phpMyAdmin’s security? PhpMyAdmin is a secure application. However, when you are using any tool to access a remote database, security breaches are always a possibility. Data can be lost, corrupted, and potentially, even stolen. When dealing with truly valuable information, you should always consult an expert, just in case you are not absolutely sure of what you are doing. Is phpMyAdmin available on a shared hosting account? Since phpMyAdmin is free, well documented, and very popular, a lot of hosting companies provide you with access to phpMyAdmin “out of the box.” It is also supported by cPanel and Plesk, the most popular control panels in the industry.